Hakaniemi Market Hall is an integral part of Helsinki’s culture and history. Visiting the market hall is an experience in itself, with its strength lying in the professional vendors who know their products like the back of their hand. 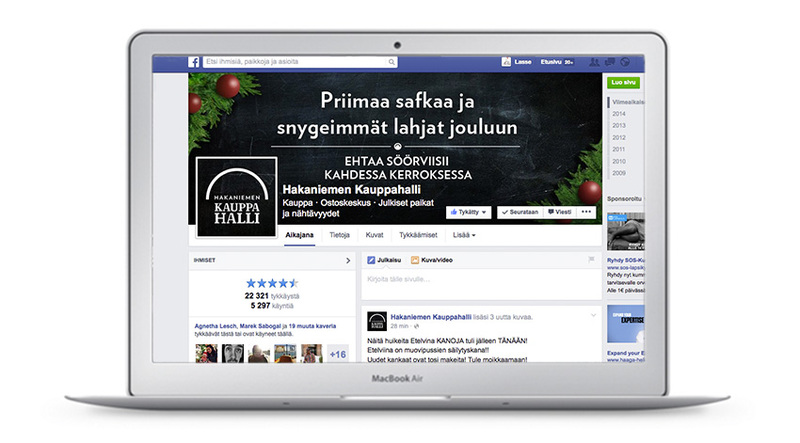 Memorable stories and genuine urban mentality were the starting points for creating a successful marketing strategy for by far the best market hall in Finland. The result was a modern look and a hip way to communicate and market its services while preserving a sense of history. Social media and mobile marketing were also included in the marketing plan.